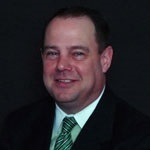 Chad Andersen specializes in retirement planning strategies assisting both individuals and businesses. Chad is a member of the National Association of Insurance and Financial Advisors and has served on the local board of the Des Moines Association of Insurance and Financial Advisors. Mr. Andersen strives to meet the needs of individuals and businesses. Chad grew up in Guthrie Center, Iowa and graduated from Central College in Pella, Iowa. Chad earned a Bachelor of Art in Business Management with an emphasis in marketing and finance. Chad and his wife, April, have two children, Reagan and Cael. Chad is actively involved in local community events and charities. In his spare time, he enjoys golfing, traveling, spending time with his family, and cheering on the Nebraska Cornhuskers.